Each workshop will be formatted as a 3 hour round table session facilitated by 5 multi-disciplinary artists. This session will invite arts leaders to facilitate a workshop on the nuts and bolts of being a practicing artist in Toronto. 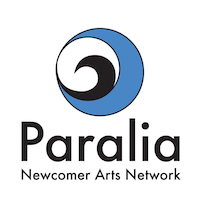 This event will give access to newcomers to connect with gallery directors, performing arts presenters and curators in order to better acquaint them to arts sector in Toronto. This series will give access to newcomer artists to connect with the gatekeeper of the Toronto arts sector, an opportunity to increase their capacity and understand how navigate the arts in Toronto. 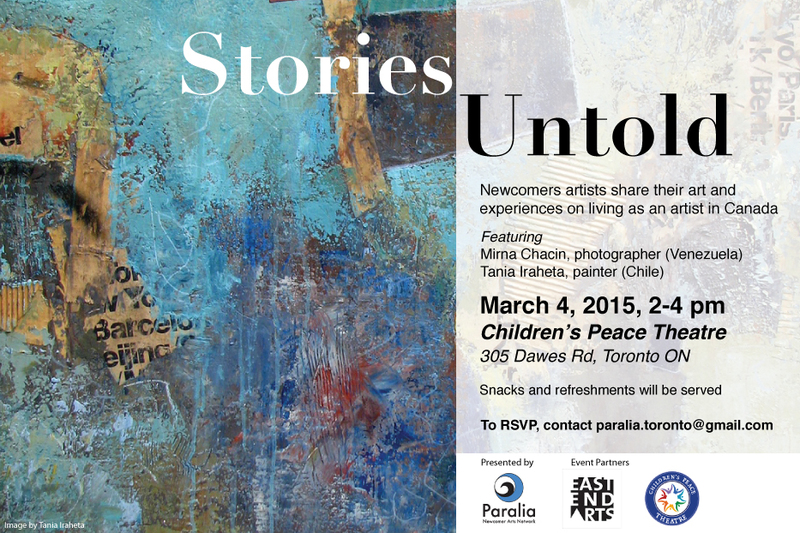 Two weeks ago Paralia Newcomer Arts Network hosted the first event of the “Stories Untold” series where we had the opportunity to meet and listen to two newcomer artists in Toronto: Mirna Chacín and Tania Iraheta. 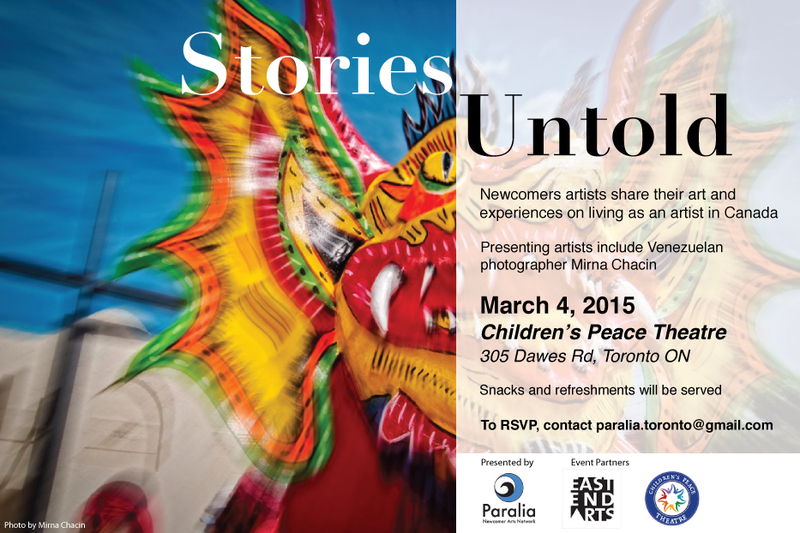 Thank you East End Arts and Children’s Peace Theatre for making it happen! Not only did Mirna and Tania do a fantastic job talking about their work, but they also presented some of the challenges they faced in order to establish as an artist in Canada. See below the tweets we live-tweeted during the event. Make sure you don’t miss next one!